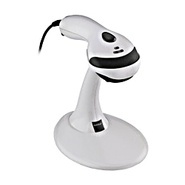 Symbol - LS2208 Laser barcode scanner ideal for retail & checkout applications. Value! USB RS232 Serial or KBW connect. Full service for barcode scan & read devices, verifiers, label printers and unique application software. Metrologic - MK9520 Metrologic MK9520 Voyager Scanner with Mask Stand. USB RS232 Serial or KBW. Metrologic Instruments - MK9524PDF Metrologic MK9524 Voyager Scanner for 1D & 2D and Mask Stand. USB RS232 Serial or KBW. 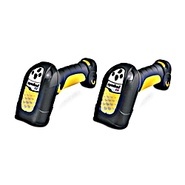 Motorola - M2007 Symbol M2007 Cyclone hands-free Laser bar code scanner. USB RS232 Serial or KBW. 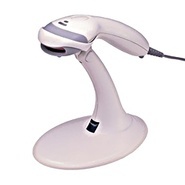 Honeywell - HHP3800R Linear Image Barcode Reader. Used widely in Retail environments... USB RS232 Serial or KBW. 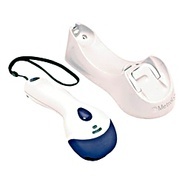 Metrologic Instruments - MK9535BT VoyagerBT: BlueTooth Laser Barcode Scanner for cable-free operation. Includes Rechargeable base & Lithium Ion battery. This is a FREEDOM scanner no cables to hold you back! USB RS232 Serial or KBW. 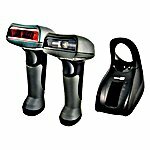 Symbol - LS3408FZ Fuzzy logic laser barcode scanner for difficult to read codes ~ heavy duty. USB RS232 Serial or KBW connect. CipherLab - 1266 Bluetooth Laser barcode scanner. Freedom to roam! USB/ RS232 base ~ supports to 7 scanners! No cable to scanner. ideal for warehouse showroom and office ... Same as Wasp WWS850! 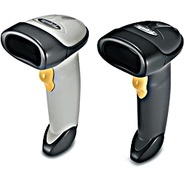 Honeywell - HHP3820 HHP (Honeywell) BLUETOOTH handheld barcode image scanner. Offers freedom for ANY environment -retail distribution etc... USB RS232 Serial or KBW. 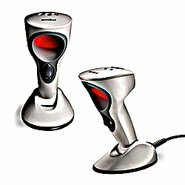 Symbol - LS3408ER Heavy duty long range laser barcode scanner. USB RS232 Serial or KBW connect.